Caries is a disease of hard tooth tissues, such as enamel, dentin and cementum. It involves the demineralization of the inorganic part of these tissues and results in inflammation. If untreated, it leads to loss of teeth. Prevention is better than cure! Therefore, please remember about proper hygiene and dental check-ups. 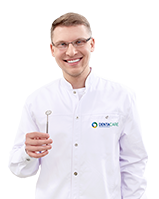 Find out how much you will gain when you care for your beautiful and healthy smile! Hairstyle? Makeup? Earrings? Trust us, it is your beautiful smile that makes you look good the most! Teeth are a support for the soft tissues of the face, responsible for correct proportions of our facial features and their symmetry. In addition, they enable us to bite and chew food properly. They are very important part of the digestive system. But that’s not all! Teeth enable intelligible pronunciation and clear diction. You should keep this in mind if you dream about working with people and in teams. Caries causes unattractive appearance and pain associated with damage to the hard tissues of the tooth. It can be associated with an increased risk of many diseases, including cardiovascular and renal failure. Caries also causes unpleasant smell from the mouth, which can negatively affect close contact with other people. Therefore, by taking care of the health of your teeth you take care of your own comfort as well as your loved ones’ during family reunions, dream dates or everyday meetings with clients. Don’t we realize that we have a teeth problem most often when something bad is already happening, when we feel pain? Unfortunately, at this point we are dealing with an advanced stage of the disease and it is necessary to take invasive measures. If cavities occur, immediate treatment should be performed, involving cavity preparation, i.e. the removal of the sick tissue from the tooth, and filling the cavity with substitute material – the filling. 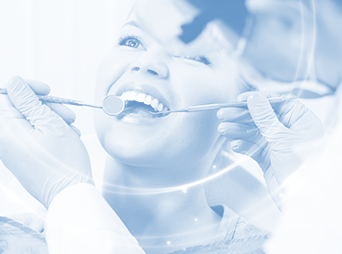 Regular dental check-ups enable treatment of minor cavities without pain and unpleasant experiences! So there can only be one lesson: prevention is much simpler and more pleasant than treatment. Prevention of cavities consists in eliminating disease development factors. First of all, we should focus on adequate oral hygiene. We should brush our teeth at least twice a day. It is worth using a toothpaste with minerals and fluoride, dental floss and mouthwash. A balanced diet, low in simple sugars, is also very important. We recommend replacing white sugar with xylitol, which inhibits the growth of caries-inducing bacteria. Let’s also remember about frequent dental check-ups. Our teeth are what makes us attractive! Let’s take care of our beautiful and healthy smile every day.